At Clarkston Oaks Family Dentistry, we use state-of-the-art equipment to diagnose and treat you and your whole family. Dr. Binkowski will see emergency patients same day. 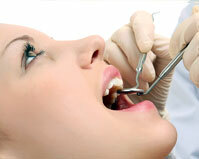 Call our office at (248) 623-4600 to make an appointment to resolve your dental emergency today.